The holiday has now come and gone and it truly was the best one I've had in a long time. Here is a pic of the festive Commander. I'll fill you all in on the gifts and such tomorrow. Hope everyone had a great day! Yeah, very funny Mave. The only package I received in the mail was from some place called Adam & STEVE.com. What are you trying to say? Wil: Oh dear! Perhaps I inverted the numbers on your address....hmmmm...check to see if any of the neighbors have a new riding whip or a fur lined paddle...that could lead us to the stash...LMK! Ok, so I don't even want to know what adameve.com is. I'm afraid to pull it up on my computer. What's tat? Heffy had a sucky Christmas? WTF? Kimberly - Yeah, I am quite celebratory. 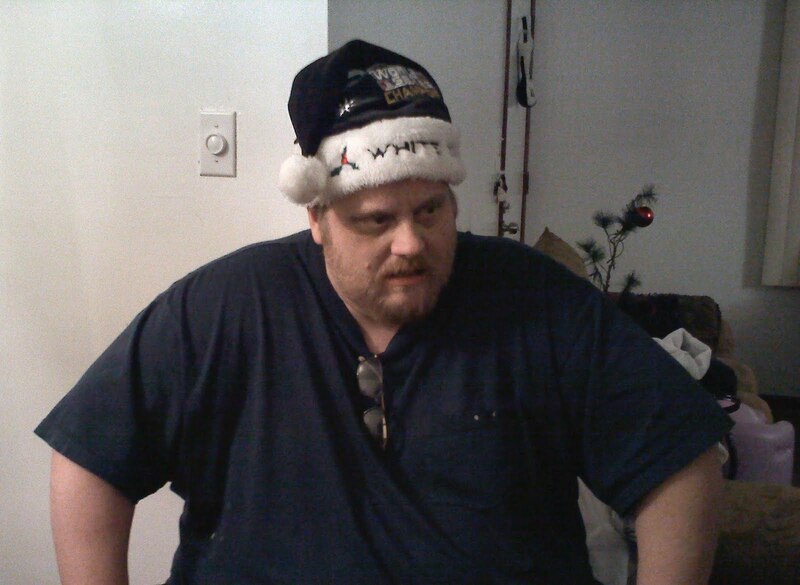 Furtheron - The White Sox Santa hat, you can't beat it!